I am ready to see how Lee Ahn is going to buck-up to save his lady love after finding out that her father might have killed his parents among man others, though understanding it doesn’t have anything to do with her, and grappling with the complications of it all! Yay! Jaein wakes up in the bathtub with water dripping on her from a faucet overhead. She tries to get out, but cannot. JI – Where am I? Flashback to when she was snatched up by the bag guy. In the present she remembers that it was that person. He told her that he was about to leave. She asked him if he was waiting for her? Wait a moment. She leans over to pick up what she dropped, which is when he covered her mouth and put her to sleep. She wonders why this person did that. She starts to remember him showing up at the police station and thinks that she was targeted. But she also remembers seeing him somewhere else. Flashback to her as a child during the evening of the apartment fire. he took of her fathers jacket from her as she slept. She kind of remembers it but thought it was her father. Meanwhile, Lee Ahn is looking for Jaein frantically. The bad guy starts to talk on the phone to Sungmo’s voicemail about crazy things he is going to do if Sungmo hides his mother from him again. He mentions that this time he has someone as well, so if you hide her I will keep your woman, that is fair. But it could not be fair, you cannot kill my woman, but I can kill your girl. Jaein hears all of this. The killer asksk her if this answers her question? That is the reason I brought you here. JI – I remember your face, you took my fathers clothes….You are the one who stabbed Ahn….the one who has been looking for Sungmo for a long time. Elsewhere, Sungmo sees the voicemail. In the lair, the killer says those things are not important, what I am going to do to you is the important thing. Meawhile, Lee Ahn touches walls and all that he can touch in order to see something. But he can’t see anything. In the lair, the killer asks her if she knows about the tiny prince story that lives on a tiny planet? Why don’t we twist this story to someone taking the floer from the prince. It could be a nice kid book, what do you think? VO – The most improtant thing is the feeling of losing it, and the important thing for Kang Sangmo is there is not only one. He has a brother Lee Ahn, and Jisoo the inspector, and you. he has so many things to protect. But I only have one. That woman. If you know who that woman is then it would be easier for you to understand me. JI – Never, it won’t go according to your plan. Elsewhere, the police show up at the tiny station. Jisoo is on a boat somewhere and tells Seungyong that he needs to find Yoon. She also mentions the guy that found the carrier, the dongsang. if he wants to investigate anywhere, listen to what he says! He is the best one who can find her. Hello? Her phone cuts off because she is on the lake or river or something. Everyone is going crazy as they try to find out what is happening. Nam finds out that the CCTV was put up quickly because they also had a request from the prosecutors office as well as the police department. Nam gets out a map of all the CCTVs in the area and starts to head out to check all the black locations with no CCTV. Aunt is frantic and sobbing and tells him to find her Jaein! Outside somewhere, Ahn is trying to touch everything he can in every alley he walks. His hands are still super bloody and he is a bit delirious. He bumps into someone and falls to the ground, the man is concerned about Ahn, but the wife thinks he might be drunk so they continue walking. Ahn hops back up and starts walking to find her. He bumps into Nam and asks him if he is looking around the CCTV map I gave you? Nam says they are, he spread the map to all the cops and we are all looking. Nam also tells him that he can go rest. But Ahn will not stop, he thinks Jaein left something so he can trace her. That is the only thing he will be able to see. He walks up another alley. it starts raining. The police set up baricades in different parts of the city streets that actually stop the killer. He takes off his suspicious clothing and prepares for the check by Seungyong. Seungyong asks for his ID and tells him to open his trunk. he walks to the trunk, another man says that they checked his identity. But Seungyong tells him to open the trunk anyway. So the killer opens the trunk, but there is nothing in there. he gives him his ID back and then gets a text that they have a picture of the suspect. However, the quality is pretty bad. Seungyong zooms in ad sees that this man looks a lot like the man he just let go! He tells everyone to catch that car! police chase for the win, y’all. But we cut to jaein as the water is blasting out of the faucet now. She does not have much time. Lee Ahnn is still walking up the alleys and he is actually walking up an alley where the man walked. He sees that one of the CCTVs is cut and knows that he must be close by. He runs to a factory that is nearby, it is closed. He tries to break in and yells Jaein’s name. Then he psychometries the door. Jaein held the door a bit and called Lee Ahn’s name as she went in. He knows this is the place! He starts to try and break in with much more force, but the door is too strong. But he is able to break the lock. However, inside Jaein is running out of air! The water is over her head so she is holding he breath. But it is too late. Ahn gets to her quickly and removes her binds while saying, no, no, no, no to himself and trying to revive her. It is not clear if she took in water or if she passed out. Cut to the ambulance ride. He holds her hand and sees the conversation she had with her aunt about his psychometry only clearing her father and her pain. it does nothing for his own pain. She felt so sorry about that. He tells her that he is sorry that he came so late. Nam tells aunt and everyone at the station that Jaein is okay and not in critical condition. Her aunt is so thankful and thanks Buddha and all her ancestors and all the gods. Sohyun is pissed and wants to know where that man is that took her. Cut to the cops still looking for him. It looks like he was able to escape. The next day, Jisoo gives some instruction about what to do with Jaein, like put more guards around her, and then goes into a small building to ask about Sungmo’s mother. But the mother left December 17th. Jisoo asks what happened that day. Cut to the mother sitting at the beach and then standing and walking into it. JS – She attempted suicide? Man – yes, some people found her, she was not critical. But just in case, I asked her name and ID. She asked if she could just pay for the treatment. JS – She knows that if she had a treatment history then people can track her. Man – We argued a bit and I told her that I would call the polcie, then seh gave me her ID. But she left her ring on the bed. A tiny ring. I gave it to the prosecutor. We see Sungmo holding this ring on the beach. Seaguls fly all around him. Jisoo also goes to this beach. She looks out over the ocean as seagulls fly around her and she thinks about December 17th. On that day was the public briefing for Kim Gabyong’s death. She wonders why she tried to kill herself on that day. Why is she alive but keeping it secret from you. Why? Jaein is still sleeping as her aunt frets over her about her entire ordeal. Lee Ahn is outside reliving the moment he found her. He also got a touch of what the killer was thinking. The most important thing is that Jaein is not the only improtant person to Sungmo. he thinks back to asking Sungmo about his mother and how Jisoo said the woman at the clinic is his mother. Aunt goes up to Ahn and thanks him. Ahn actually holds her hand and says it will be okay. Aunt tells him that he should rest, he did not sleep at all. Ahn says Aunt should rest, she would like to stay next to her even though the police are guarding. Nam says that he also wants to stay next to her, but Aunt should go home and make a nice meal for her. He will go with her. Aunt tells Ahn to tell jaein to call me as soon as she wakes up, I want to hear her voice. She walks off with Nam. Sungmo is around the corner listening, but he does not go to the door. He just stays at his spot turns his hand into a fist in anger. Then he walks away. In the room, Ahn sits by Jaein. he sees that her ankle is kind of exposed so he covers it and then notices that she must be having a bad dream as she brow furrows. Then she starts to wimper about her appa. Ahn touches her face and starts to see what she is thinking. She thinks back to the killer and saying that she remembers him, he is the criminal that took her fathers jacket and the one that stabbed Ahn, things will not go according to your plan. Meanwhile, Sungmo is in a Catholic church looking at the cross. A priest comes up to him and says he heard the news that a preist was abducted, he thinks it is from that person. It looks like things are going along with what you thought. What are you going to do? Sungmo lowers his head and looks at the gold ring. Priest – Otherwise, what do you know? Sungmo raises his head and addresses him. SM – Ahn is not that crying little kid anymore for seeing things he doesn’t want to see. he knows that guy that kidnapped Yoon, so revealing the truth should be quick. Who he is and …. what he did. Priest – Sungmo, back then no one could rescue you, but now it is different. Don’t make any choice without a plan. SM – In retrospect, back then I wasn’t alone. he thinks back to Jaein’s father helping him. He cleaned the wound on his ankle and told him to take things seriously. SM – Back then, If I asked for help. Cut to Ahns father telling him to call him if he needs any help. SM – When I knew he was in front of us again *tears* if I called that day…I regret it so many times…and again…and again….I don’t want to hurt people who want to help me, again. I need to find the way. He turns and looks at Jesus on the cross. Meanwhile, Jisoo is somewhere in the city talking to Seungyeon on the phone, he catches her up on everything and lets her know where Jaein is. She tells him that she will see her as soon as she gets there. Then she hops in a car and calls Sooyeon. They talk about the woman they are looking for and prosecutor Kang. She missed them both. her specialty has become following Kang. But this means that he also does not know where she is. They then start to talk about finger prints in a car. But it will take awhile to find out who that person is. Jisoo asks her for a request, please keep Sungmo’s mother a secret until we find out more. Sooyeon says okay and then tells Jisoo to be careful, she could be next. Jaein wakes up in the hospital and sees Ahn sleeping next to her on a little cot. But the cot is right next to her bed so it is basically like they are sleeping in bed together. She turns to look at him fro a moment then moves to get up, but he holds her hand tightly so she has to stay laying on her side. Ahn – If we stay like this, then I feel like it will all be cured. Where you scared? JI – I was sure that you would find me. Ahn – *long pause* I was scared…in case I could not hold your hand anymore. I was scared to death. JI – Ahn, that guy that kidnapped me, took my fathers uniform. that is why my father became the suspect. But now I remember his face. Ahn – You dont’ have to explain it to me. JI – Did you read everything? Ahn – yes, so you don’t have to explain it. Let’s just rest a bit. You cried in your dream and talked about it after waking up. I will find that guy. My ability is still seeing a few things out of a thousand pieces, but I am going to put all the pieces together. JI – Kang’s umma and that guy, you will find all of them. I trust you. 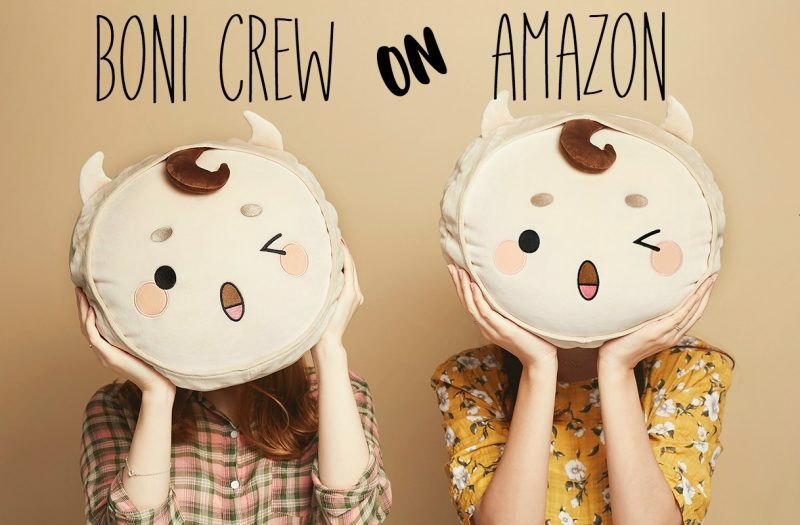 Ahn – I need your help. Without you I am not a psychometrist. I am just a psycho guy. They cuddle a bit closer as she sniffs all her feelings away. But then there is a cute moment in the hallway as we see that Sohyun is peeking in the room and smiling. Daebong startles her when he asks what she is doing. She tells him….maybe they can let them stay like that for a moment. He smiles and says okay. He is just so happy to be next to her, lol. They start to walk away. Sohyun is so happy that Ahn and Jaein are together because Jaein has had a hard life. Daebong tells her to think about her life also. She asks what he said so he says nothing. But she also asks what a psy-cho-me-trist is? Is it like a celloist? Daebong is all like, yeah, something like that. then he asks about her daughter. She says that the chicken teacher is taking care of her for now. They have some time, she has to buy diapers. Daebong asks if she needs someone to help her! She looks at him and says that she doesn’t need anyone. But it is more playful. Later on, we see Jisoo talking to Jaein at her bedside about Sungmo’s mother. She fills her in on everything. Ahn says that maybe Sungmo wants to kill that guy for real. He knows that his mother tried to kill herself and he knows that Jaein was kidnapped. Noona, you have to stop hyung. Sungmo is still in the church sitting quietly in a pew. then he puts on his hat and looks startlingly similar to the serial killer. JS – Yes, we have to do something before Sungmo does something stupid. We have to find his mother first. Ahn – Do you have any clues? JS – No, I don’t even know the name. Dr. Hong is searching the fingerprints. Maybe it is faster to find the mother first. We need to find out about the fire case so we can find his identity. We need to know his relationship to Sungmo’s mother. JI – he should be around us to find out where Sungmo’s mother is. they keep talking. Jaein says that she thinks she was the target because Sungmo supported me. Maybe the killer misunderstood, he doesn’t have any feelings toward me. But Jisoo said it was not a misunderstanding, the killer knows Sungmo very well. Anyway, the improtant thing is that they know each other well. They read each other well and they know what each others weaknesses are. I think that is why Sungmo did not come to you and sent Ahn instead. JS – Sungmo may disguise his feelings from you two, but he could not lie to that guy. Ahn – Hyung should know everything from the beginning right? Everything happened because of Hyung’s mom. He should know that. JS – the problem is, he knows that the guy is the criminal but he could not catch him. He is like a ghost. Ahn thinks back to the scar mark on Sungmo’s foot. He says he has to carry it forever. The wound that misses it’s time to heal becomes a scar forever. Ahn told him that scars are marks where you overcame a wound, so why does it still look painful? Sungmo says it still hurts because he still has the memory. In the present, Ahn says that hyung is also a victim. He has the same scar on his ankle like Jaein. Noona, can you find out where Hyung lived before moving to the apartments. Jisoo says he is planning on doing it, but 13 years ago is too long to see it with your ability. He says it is not like he is using his ability, he just wants to know. VO – Who that guy is…why he does it….what his relationship is with hyung….if I know it, then when the time comes to really use my ability then I can do it better. We see an image of the killer doing something. Jisoo says okay and then starts to pull out a lot of information from her bag about all the case files for everything. She tells Jaein that it is all for her. But should she wait longer? 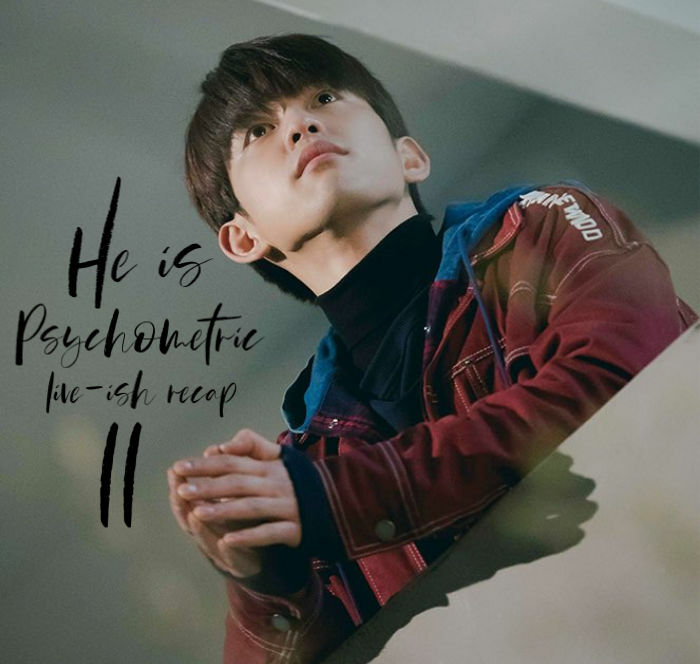 Ahn used his psychometry to find you. 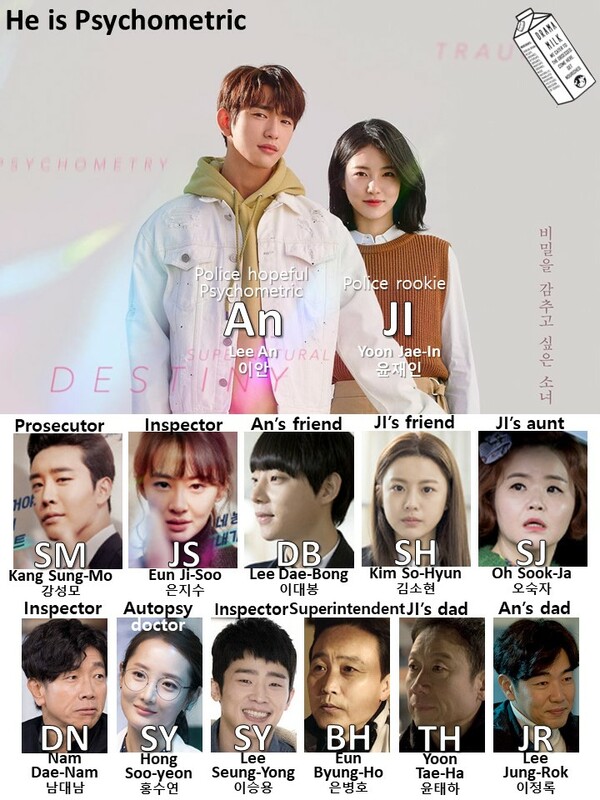 It is official, psychometris Lee Ahn and officer Yoon. It is official. Jaein smiles but asks if she is sure. Jisoo says she does not have enough time to ontrol Ahn and do the investigation and you are the only one that will put 100% on this case. Ahn thanks noona so much, with a big hug, lol. She is all like, don’t touch me! Stop! But Jaein says to hug her more so he does. But then he lets go and Jisoo can tell Jaein something about her father. She says that her father was wrongly accused, she will apologize to her in place of her own father (the police superintendent). She says that she will work hard and will not make another mistake. Jisoo leaves. Ahn calls after her outside and asks if she is okay. Jisoo says that she is used to getting dumped by Sungmo, see you after she is discharged from the hospital. She heads out again. Ahn returns back to the room and peeks in on Jaein who is busy working on the case files already. he then goes to the nurses and asks them if there is a library in the hospital. he goes there and finds the story of the little prince. He reads the story as Jaein reads the case reports into the night. Then he goes back to talk to her. jaein fills him in on how the killer was thorough in how he plans his crimes, but the way he kills is similar. He stabs them all in the stomach. The one strange thing is that the knife is not a commercial knife. Ahn asks what that means. Jaein says that he made it himself. I saw him at the cultural center, his hand skill was really good. I also think he might have made the chain too. But, where did you go? He comes back with the little prince book and reads a page from it to her. JI – yes, he talked about that book. Ahn – I read it to know how he thinks, but I have no idea. It is just a good kids story to me. Ji – the time he spent to cultivate the rose means that it was way before the apartment case. Ahn – Jaein, you shouldn’t work too hard yet. Let’s stop here. JI – Now I realize that my father is not a criminal. Ahn – SO dont’ cry anymore, ever. JI – I am not, I have you so why should I cry. JI – I like you Lee Ahn, a lot a lot a lot. You know, people say that when they are about to die all the days past by as a panoramic movie. It was the same to me. It reminded me of what I did not tell you. Ahn – Well I was about to say it first but you shouldn’t say it first. JI – You can say it also. Ahn – If it was that easy then I would say it. JI – You can tell me in a difficult way later. Ahn – Tell me the truth, you want me to say it to you. JI – yes, I want to hear it. Ahn – Why are you moving so straight? We will cause a big accident if we say those things face to face. JI – We shouldn’t’ make a big accident? Ahn – You don’t’ know what I mean? JI – *smiles* see, when you smile it is good. Whenever I had a hard time, you made me smile. I will make you smile when you have trouble. He leans in and kisses her quickly. Then they look at each other and lean in and kiss more. Very soft delicate kisses. Much later on, on some morning, we see Jaein cleaning in her police uniform and smiling at Ahn. They talk about cleaning on a nice spring day. He says he can do it for her. Nam comes out and says that he can clean for her. But then they start to talk about how Jaein might move to the special investigation department, so it could be her last day there. They both smile. But then Jisoo shows up with her stuff and says that they are going to do the investigation there. They are all like, huh, what is going on? Jisoo explains that she wants them to do the investigation, not that she has recruited them to the special investigation team. They are both bummed. Jisoo explains that Sungmo is not working so the special investigation team has officially dissolved. All the cases are closed so we can’t reopen them anymore, so this is my personal investigation. jaein says that she didn’t expect everyone would become like this low standard. Jisoo asks her if working in a local branch means they are low standard? Your mentor was one of the hardest workers in this field. He is about to retire so give him his respect. They look over at Nam who is picking his nose. Jaein asks if he is on the team too? Jisoo is all like, of course. But Nam speaks up and says that he does not know what is going on, but he is not about to go out into the field and get stabbed. Jisoo is all like, should I leave? Ahn tells her that she should leave and take them with her! If it isn’t the special investigation team, then at least the violent department??? Jisoo says that they would have to explain Ahn, at least Jaein is a trainee but what about him….no no no no. Nam wonders what this ostracism is to him. Isn’t he in the team? Jisoo grabs her bag and says that she will explain it all to him. Kids, lets go. Everyone leaves so Nam is all like, I dont’ just feel ostracized, I am ostracized. But then he turns and sees the Nam San apartment case report. Cut to Superintendent Byungho (Jisoo’s father). He is thinking about how his daughter said she will reopen the apartment case. He is seriously worried. Behind him we see a bouquet from YSS construction company. (the father always has something from YSS construction in his office). Meanwhile, Jisoo tells Jaein and Ahn that was she said about this happening a long time ago makes sense, so I am going to go back in time. Sungmo lived in Gangwangdo until 1996 and then he moved a lot. He went everywhere in Korea. So maybe it was 1996 when they started running away from that guy. But there are many strange things. Look at his birth record. His birthday is 1988 May 24th. But he was registered in 1996. It was 9 years delayed. JI – They didn’t register for 9 years? JS – And he is under his mother, no father. Flashback to Jisoo asking SM about his father. Then back to the present. JS – Have you heard anything about his father? JS – Hopefully it is not the thing that we suspect. They all end up going somewhere that looks like it has been closed for a long time. It looks like a metal factory that ended its operations a while ago. Jisoo tells Yoon to find Sungmo’s things when he lived here. Ahn, you know what to do. Then she gets a call and steps aside to take it. It is from Dr. Hong (Sooyeon). Ahn and Jaein start to walk around. Jaein thinks this is the place where he made the chain and the knife. She sees foosteps and thinks they should follow them. It looks like someone came here recently. Outside, Sooyeon explains to Jisoo that she has not found the identity, but she did find a case where the finger print is involved. It is an unsolved case. Inside, Ahn touches various metal things. VO – In 96 in Gyung wondo. We found the fingerprint but did not find the identity so it became unsolved. JS – What was the case? That case is the same address as the place they are at now. Inside, Jaein continues to lead Ahn around until they get to fresher looking footprints? they keep following and see a door that looks open. (Um….call for backup?). Ahn psychometries the door, he sees Sungmo. Ahn – I see it, hyung came here! They go inside and still see some wet footprints leading them inside. Jaein touches a cabinet and says that there is no dust on it. It seems like the door was opened recently. Jaein opens the door slowly and Ahn sees that there is a secret door in the back. They wonder what it is. Is it a basement? He says he has to go inside. But then he sees a psychometried little kid run out. His mother yells, Sungmo, run! VO – He trapped a woman and her kid in a basement for 9 years. Oh my gosh, y’all. This show just gets better and better. I love how the information is rolled out slowly and builds on old information instead of adding new things that feel random. Bad guy – It means you want to see me? Ahn – Maybe he doesn’t want to investigate the case? JS – Just close the case as quietly as possible? JS – My fathers investigation wasn’t a mistake. He tried to conceal the truth on purpose? JI – We have to at least search for evidence that you can’t see. That is your specialty.